About 30 million Americans have chronic kidney disease, according to the National Kidney Foundation (NKF). For many, a kidney transplant can be the most effective treatment option. 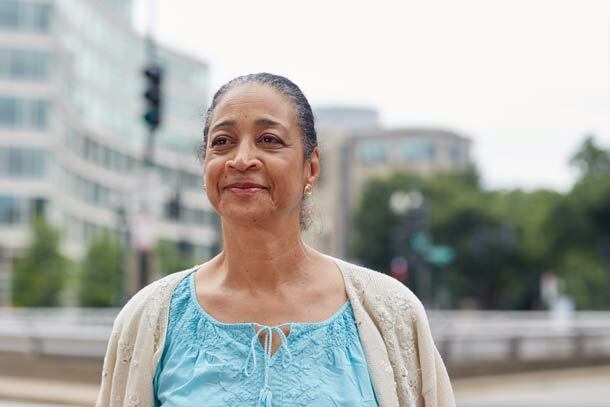 The GW Transplant Institute has a comprehensive kidney transplant program along with the specialty services required to care for transplant surgery patients. In this segment, Keith Melancon, MD, discusses new technologies designed to address the problematic limited pool of kidney donors in African American and Hispanic populations. Deceased donor transplant: A patient receives a transplant from a deceased donor. Living donor transplant: A family member or a friend agrees to donate a healthy kidney to someone with end-stage renal disease. This is a scheduled surgery. Laparoscopic donor surgery: A surgeon performs a transplant through small incisions with a shortened hospital stay and recovery time. ABO incompatible kidney transplant: If a recipient’s blood contains antibodies that react to a potential donor's blood type, the antibody reaction will immediately reject the transplant. Until recently, the only option was to identify recipient-donor transplant pairs with compatible blood types. ABO incompatible kidney transplant now allows transplants between some individuals with different blood types. Desensitization for transplant: Sensitized kidney transplant patients have high antibody levels that react to foreign tissue. This can prevent a person from having a donor kidney match. Desensitization is a process in which antibodies are removed from the blood through plasma exchange. After each treatment, clinicians give a drug to the patient to help prevent antibodies from coming back. Typically, two to four treatments are required prior to transplant. Auto transplant: A surgeon removes a kidney and transplants it in a different location within that person to improve renal function. Living Donor Paired Kidney Exchange: A living donor donates a kidney to another recipient who also has an incompatible or poorly compatible donor. This increases the amount of individuals receiving a transplant. An altruistic donor may also start a kidney transplant exchange. The Ron and Joy Paul Kidney Center is focused on fighting kidney disease and encouraging transplants.